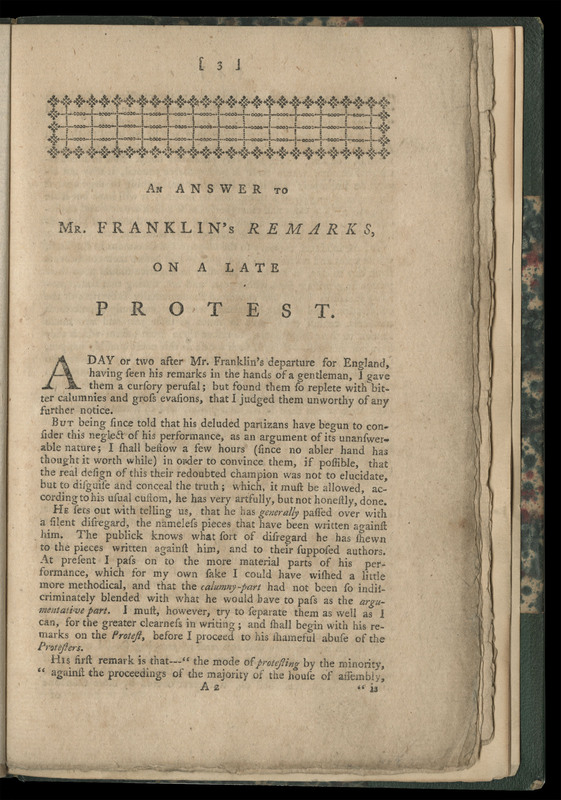 1 2017-03-29T06:16:54+00:00 Paxtons and Politics 4 plain 2017-03-29T08:41:07+00:00 Benjamin Franklin, lacking confidence in the proprietors’ ability to manage the unrest, began lobbying for royalization. 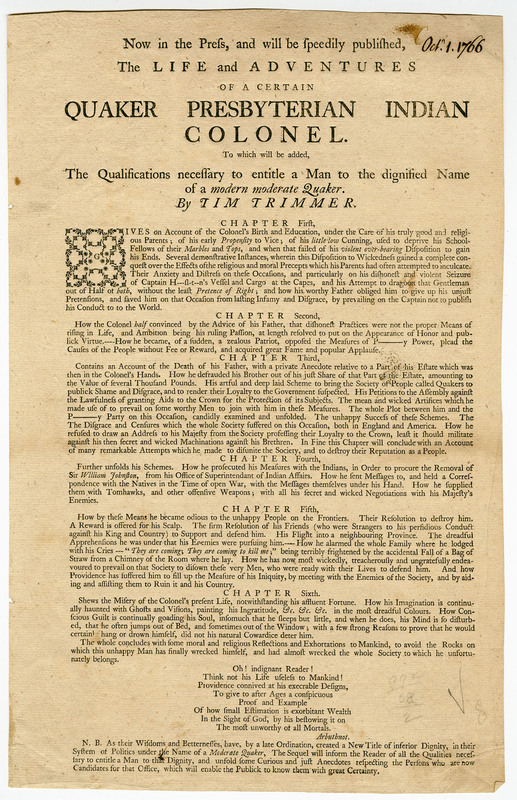 The push for royalization was unlikely, however, given that royalization would have entailed a standing army and perhaps even the establishment of the Church of England. 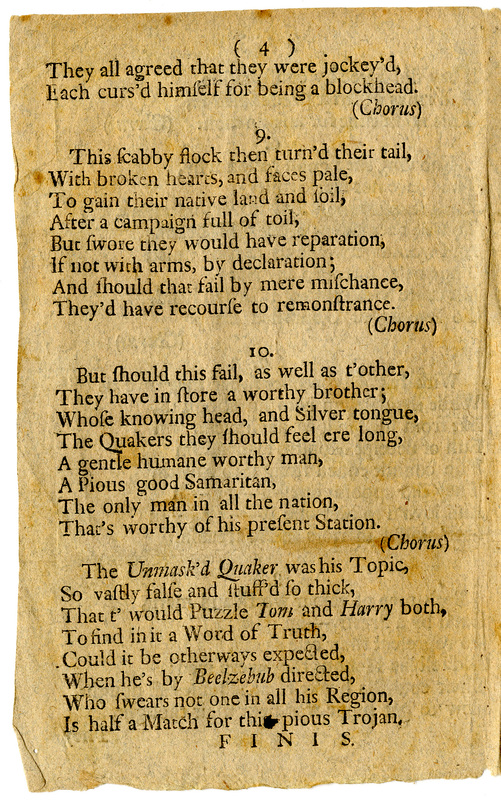 Hugh Williamson, The Plain Dealer, Numb. 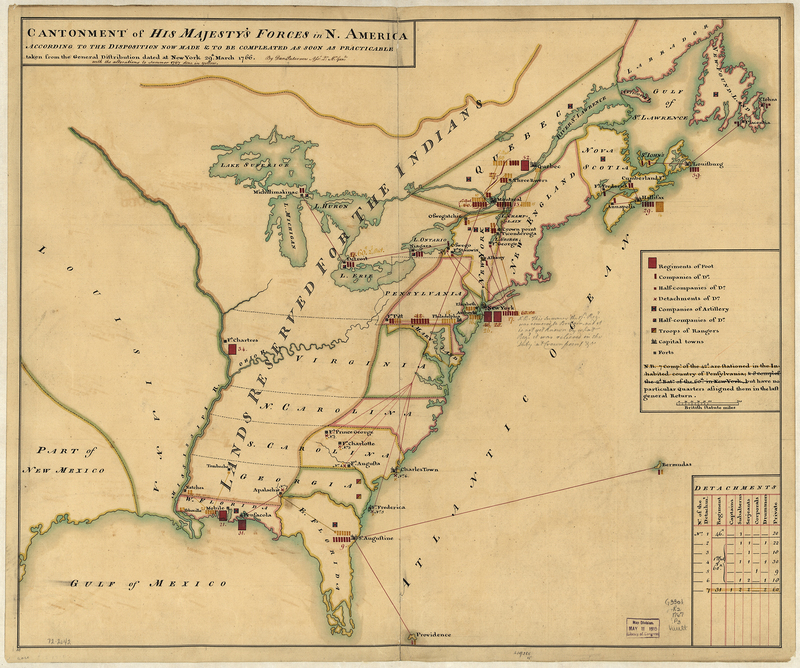 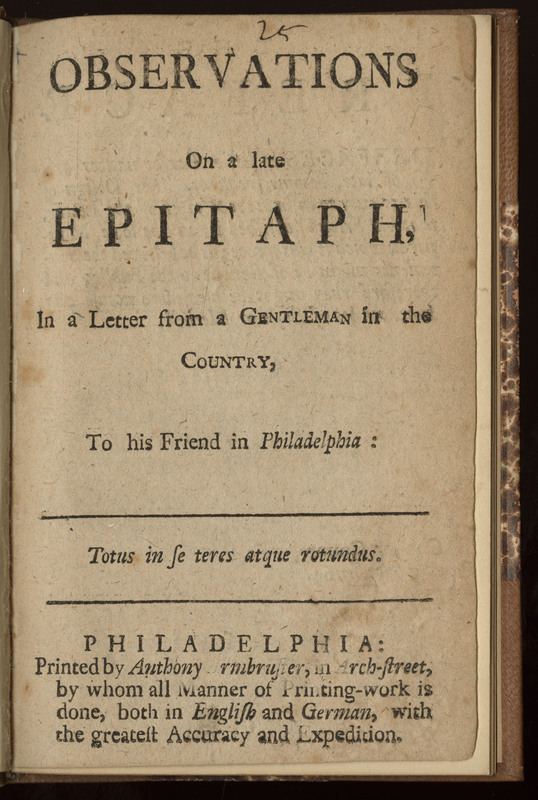 I (Philadelphia, 1764). 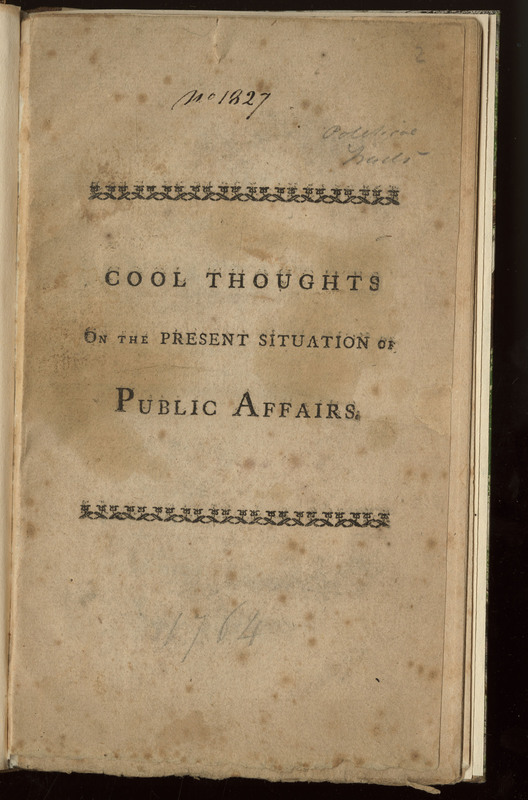 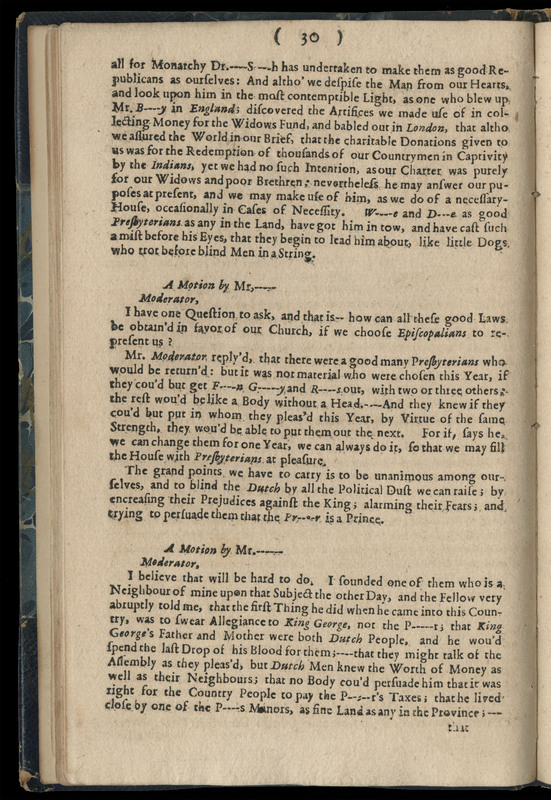 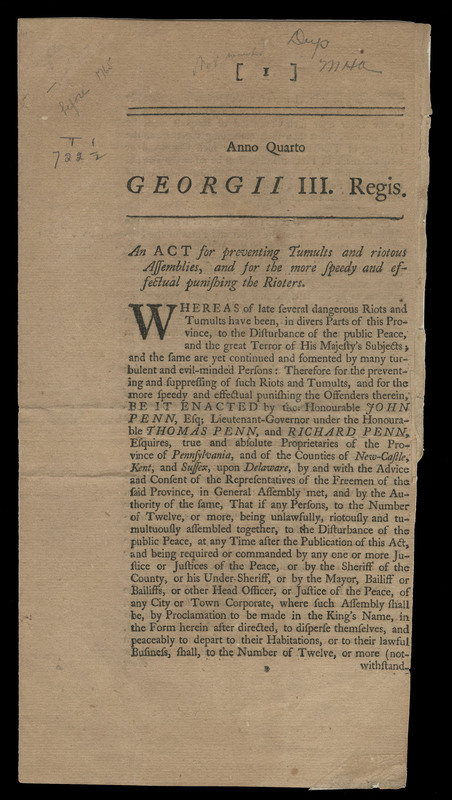 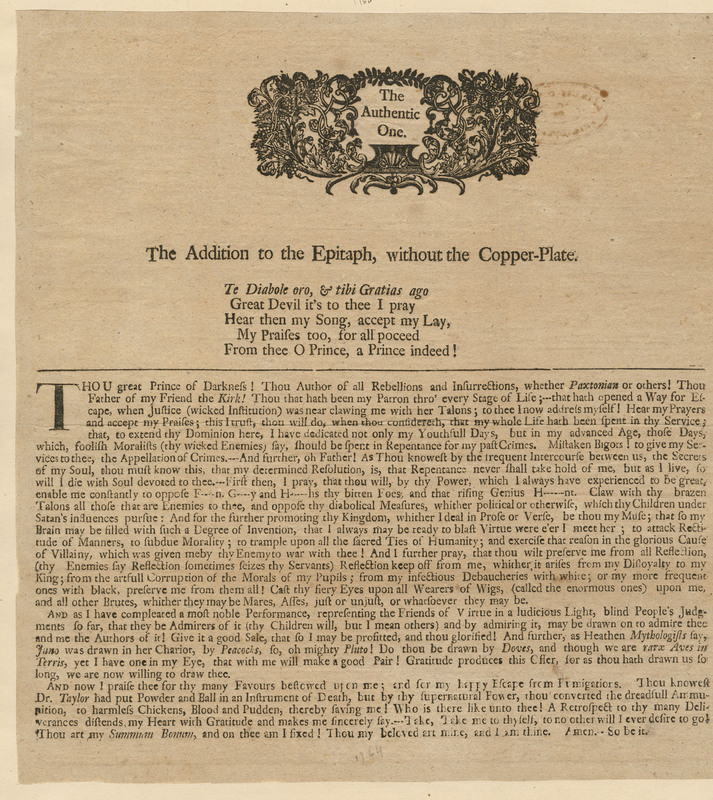 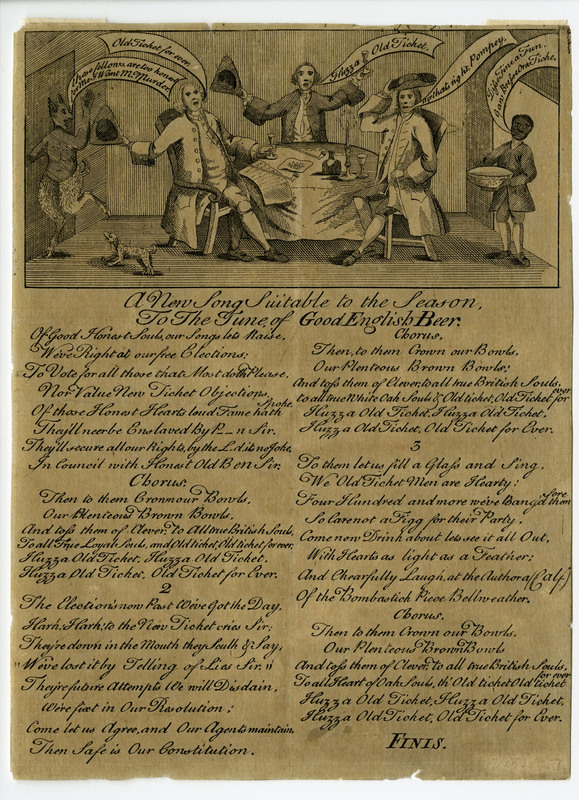 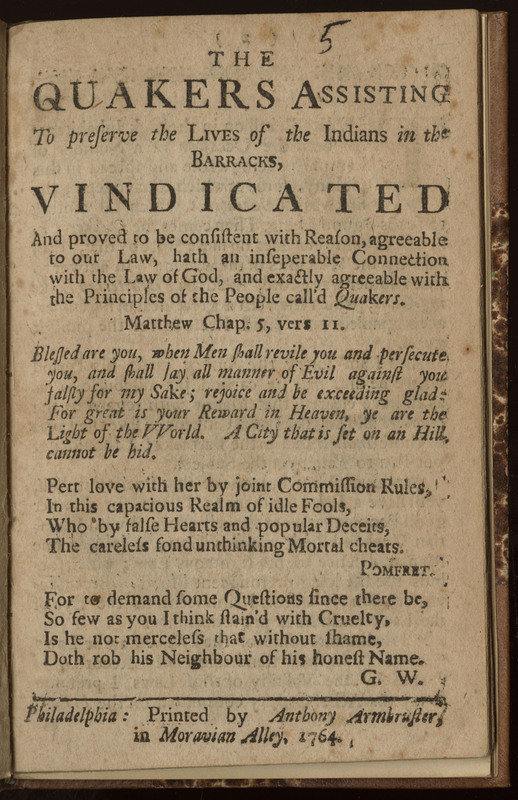 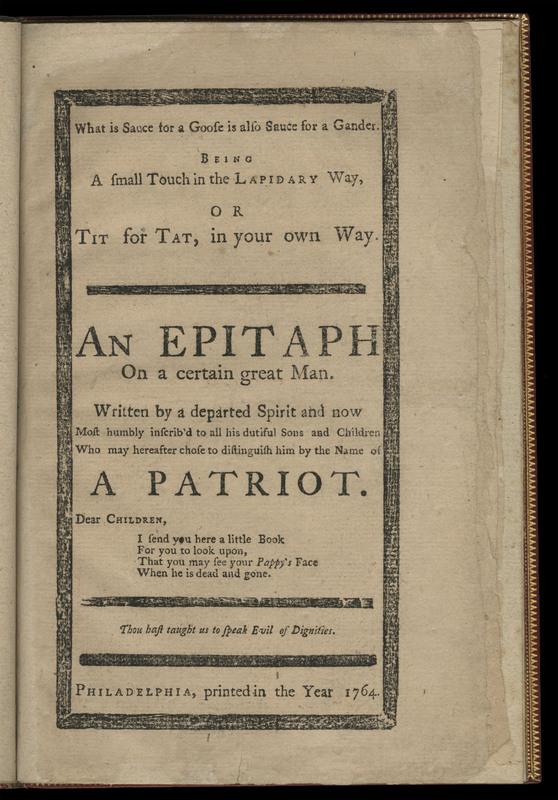 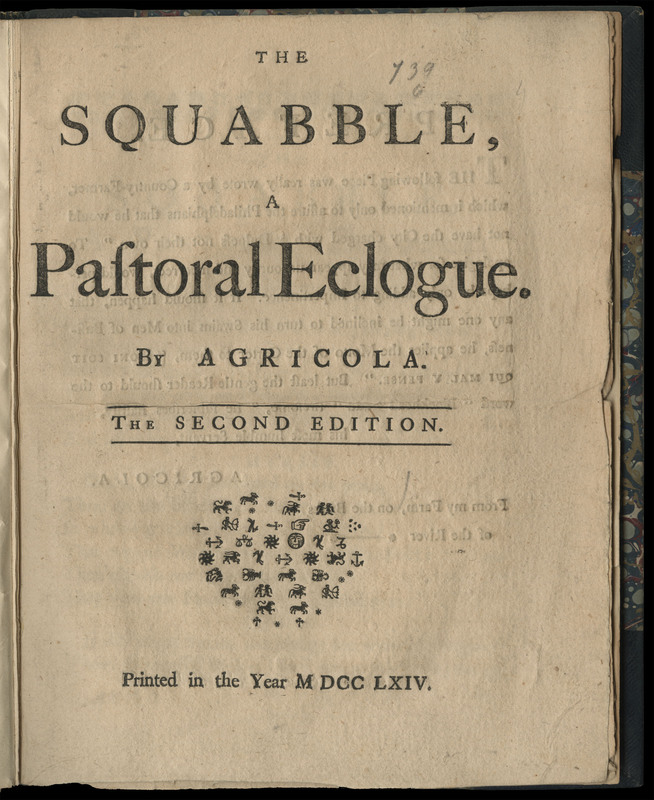 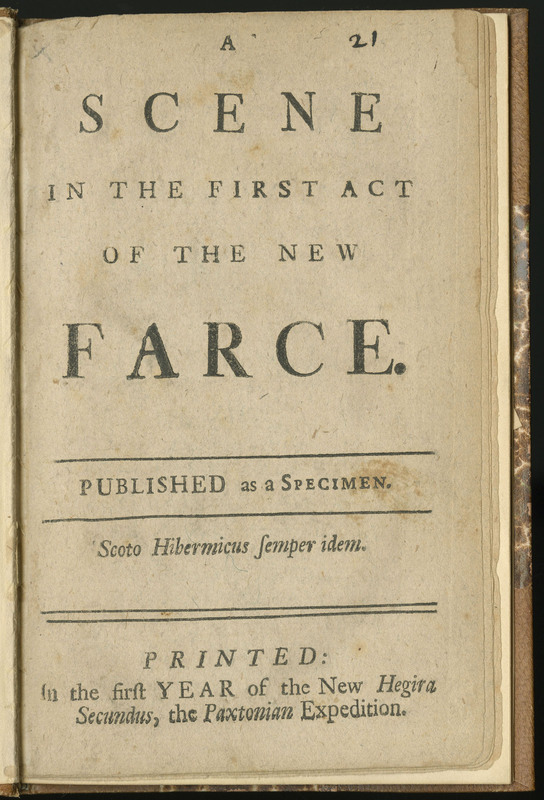 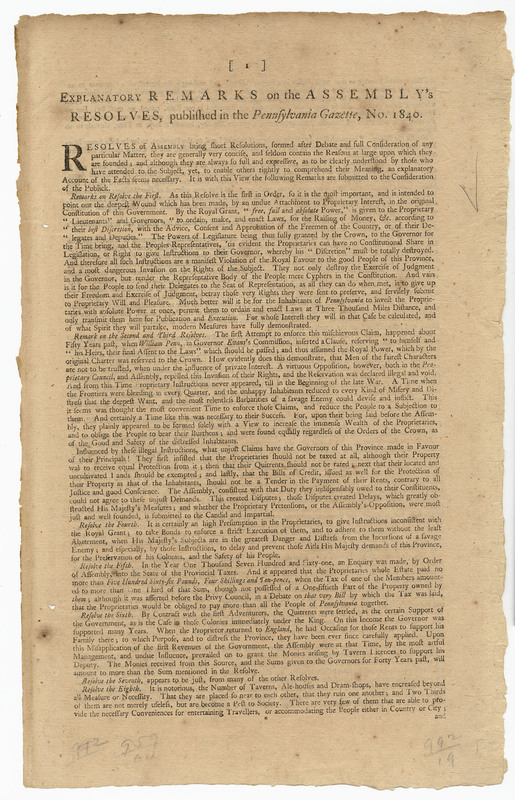 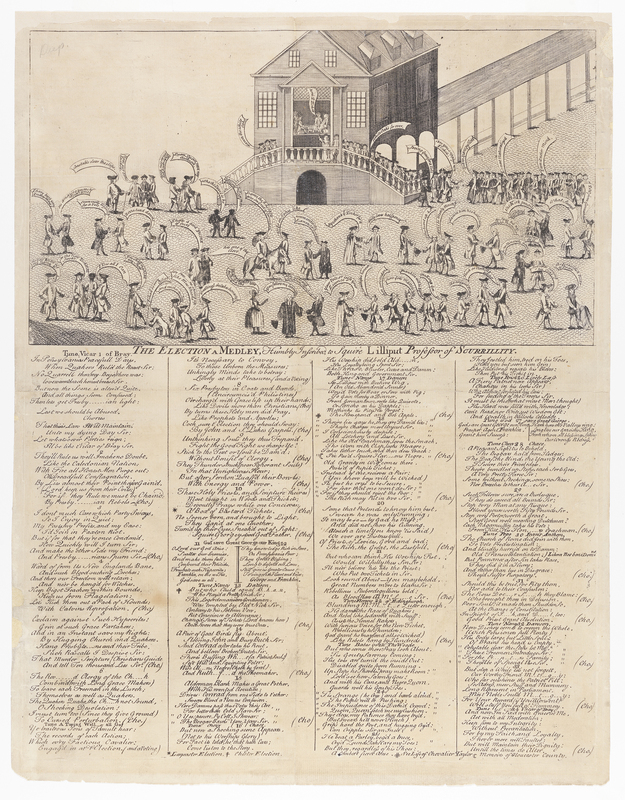 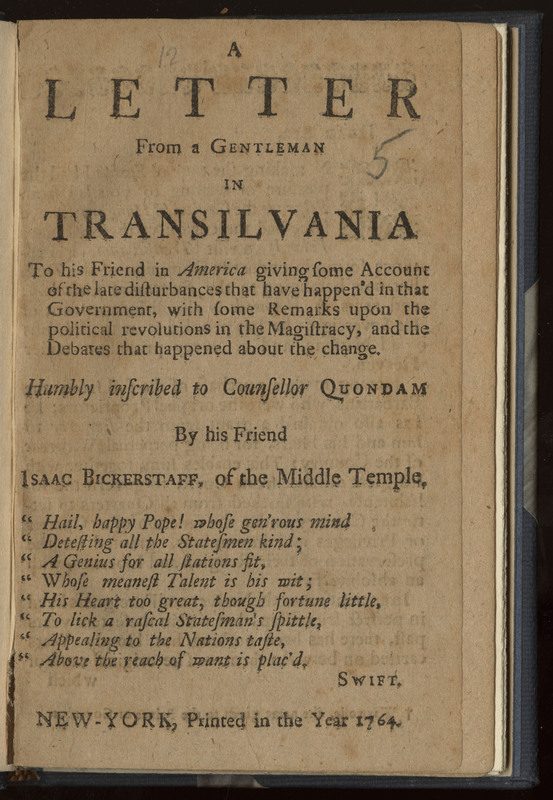 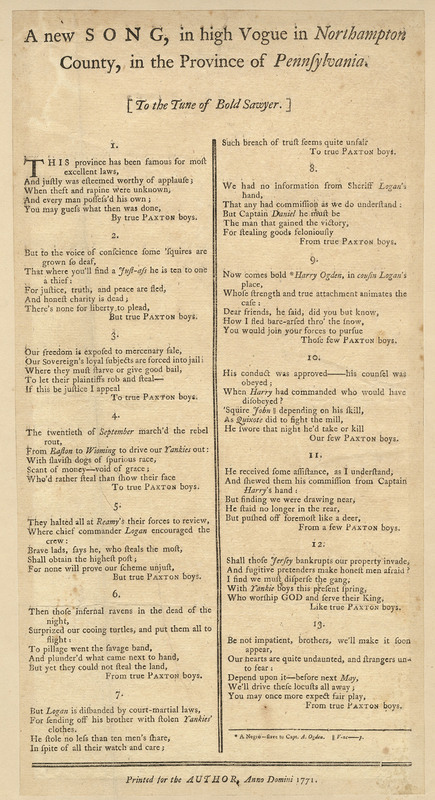 Hugh Williamson published this multi-part pamphlet shortly after the Resolves of Assembly on the royalization (March 24). 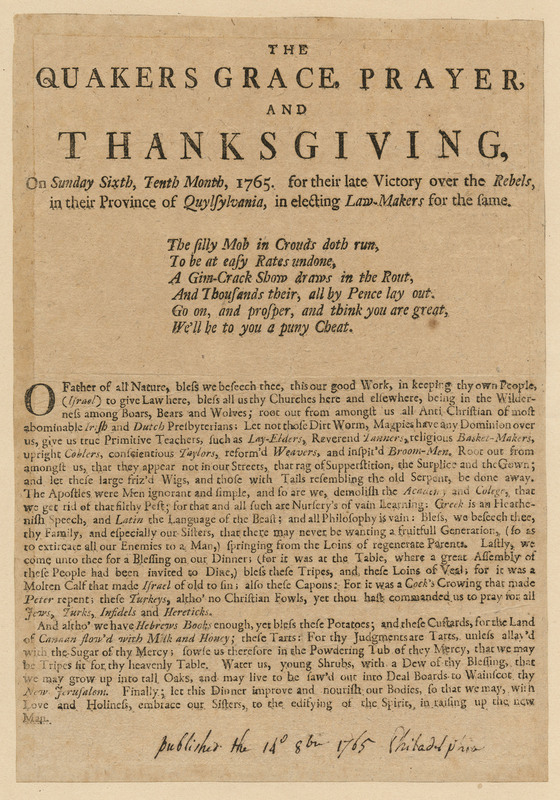 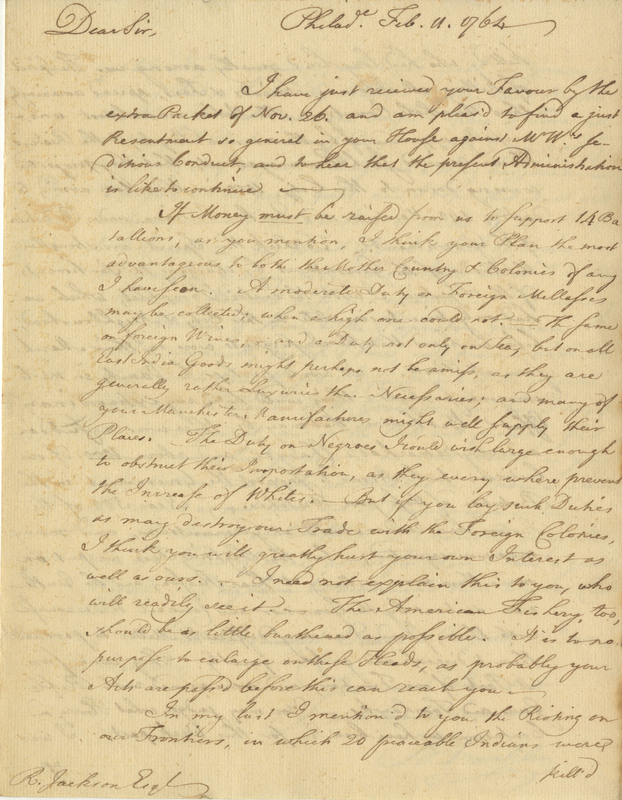 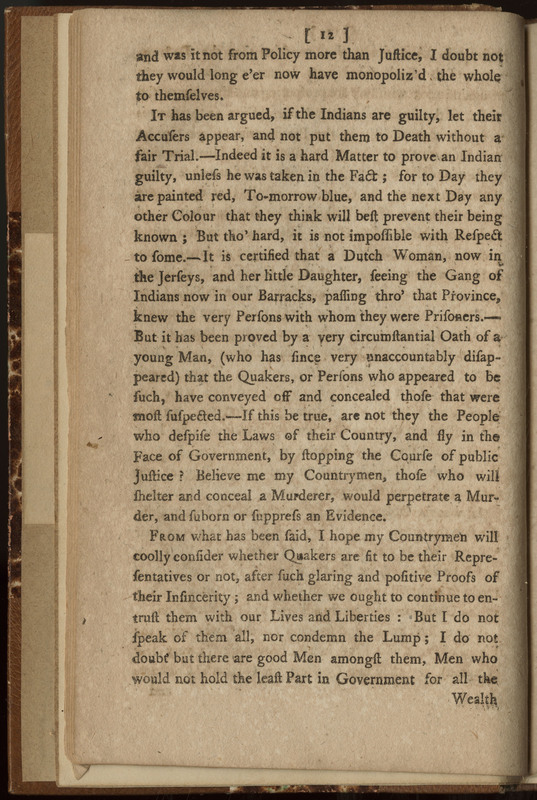 He blames Quaker misrule for reports of settlers fleeing the colony. 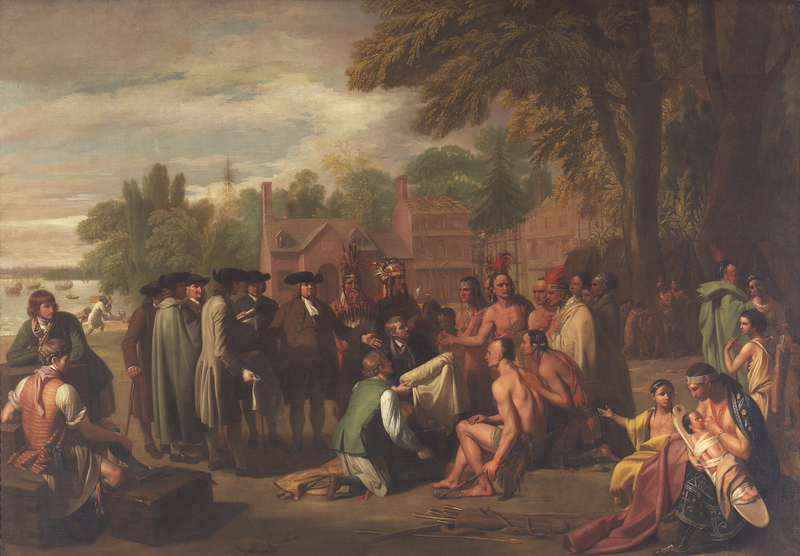 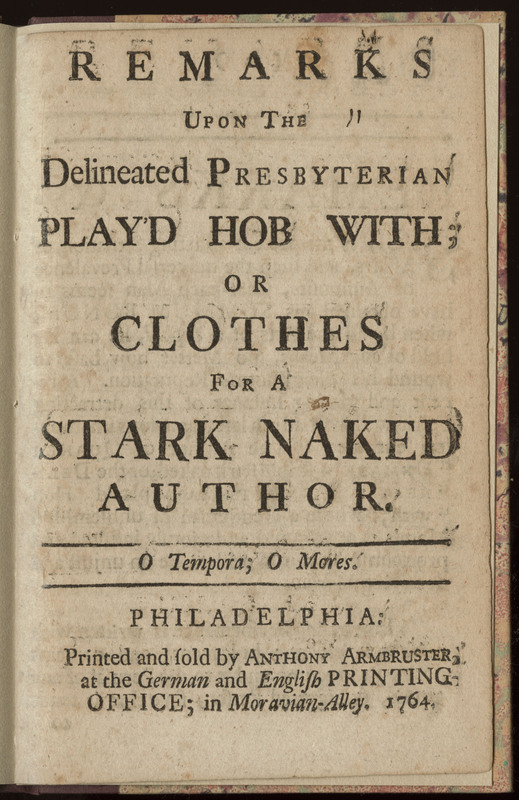 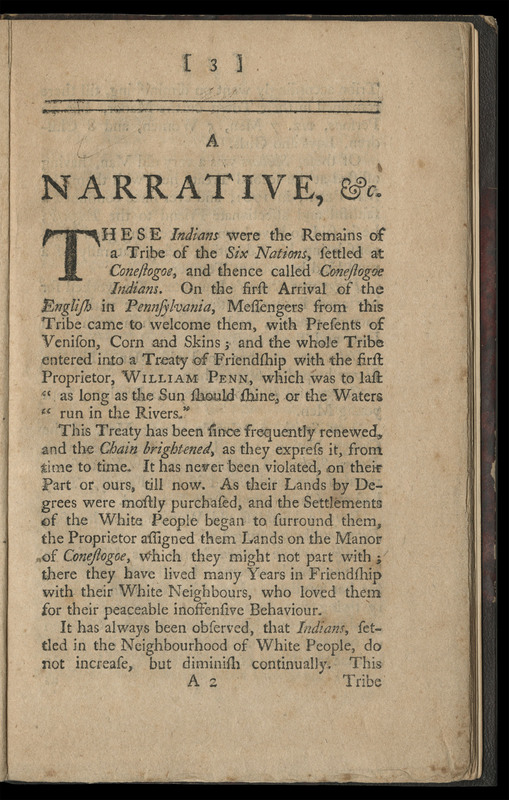 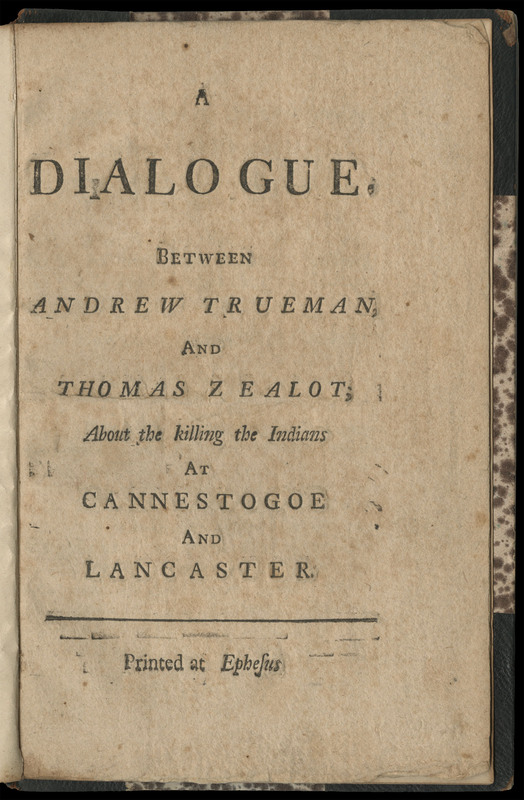 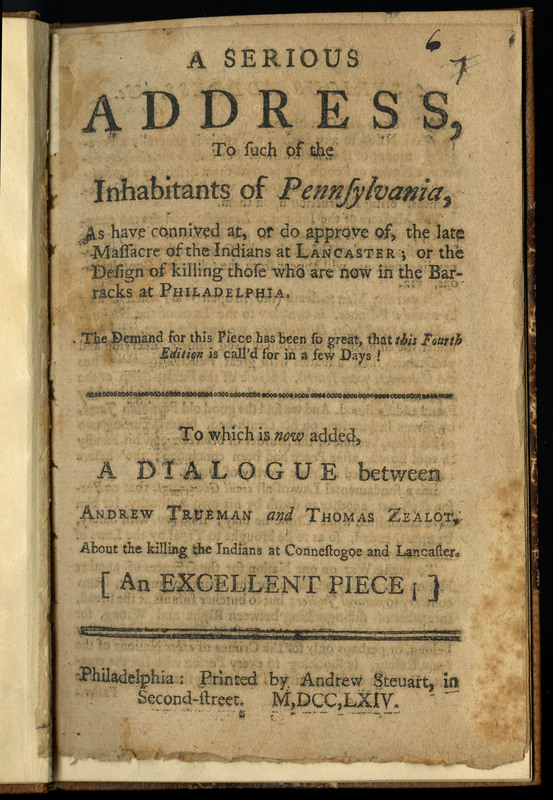 James Claypoole, The German Bleeds & Bears Ye Furs (Philadelphia, 1764). 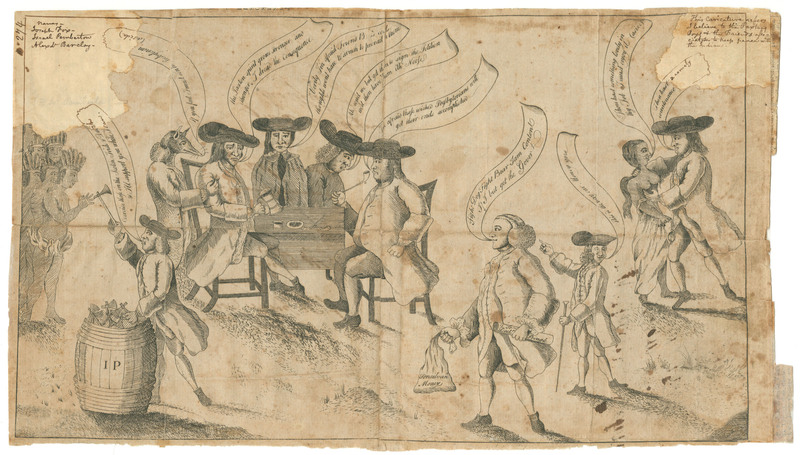 Claypoole’s engraving serves as a visual counterpart to Plain Dealer. 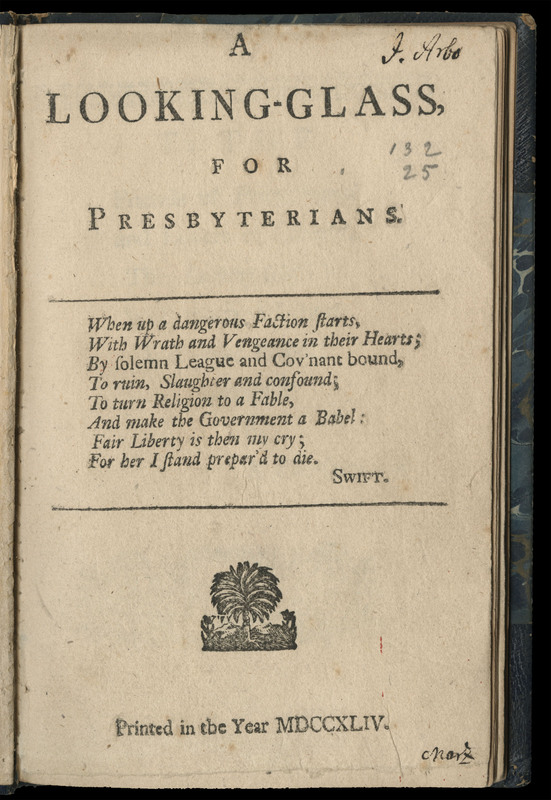 A Quaker rides a rifle-wielding Scotch-Irish Presbyterian. 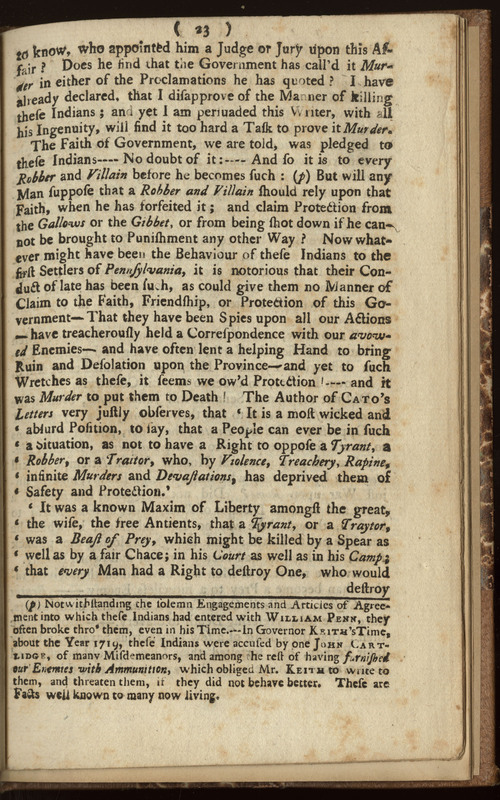 He is tethered to a tomahawk-clad Indian, who rides a blind-folded German. 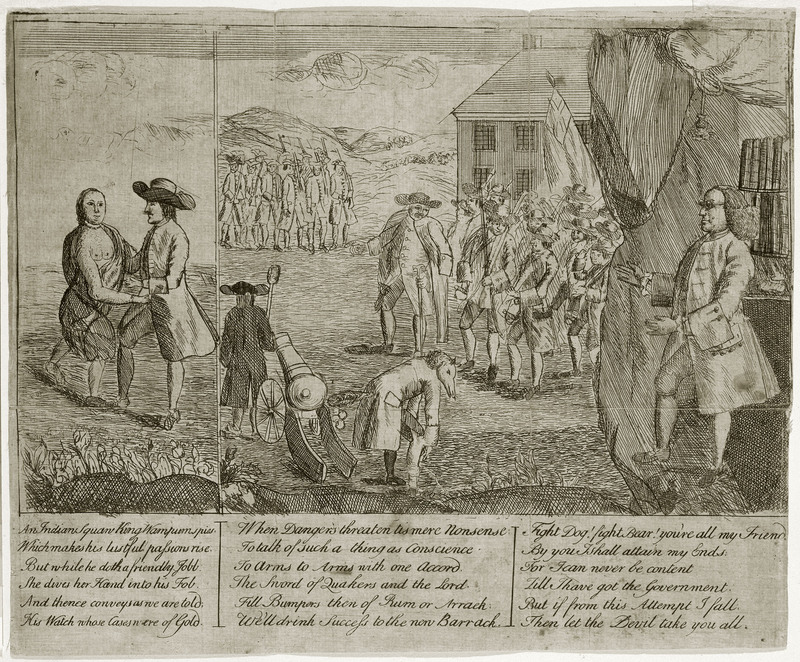 Benjamin Franklin stands to the left, clutching the Resolves of the Assembly. 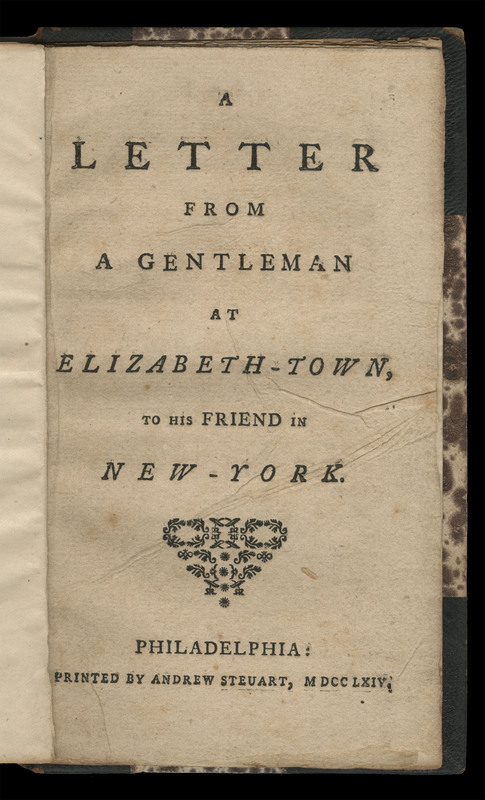 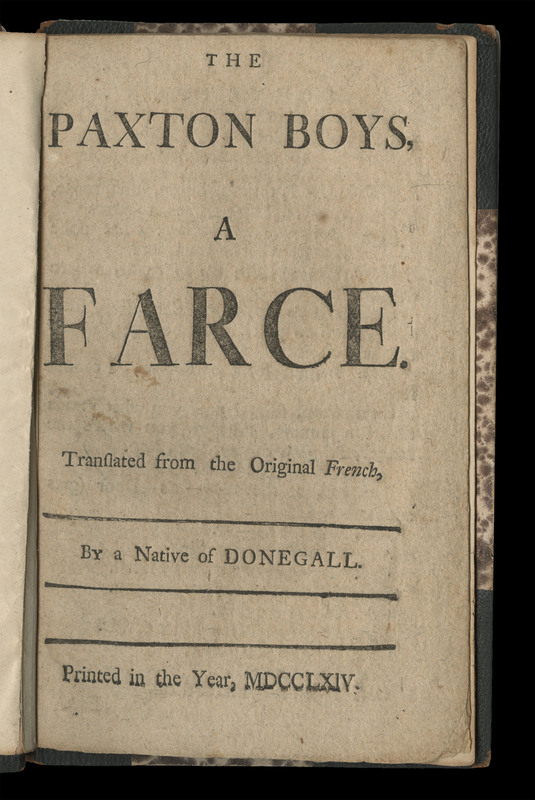 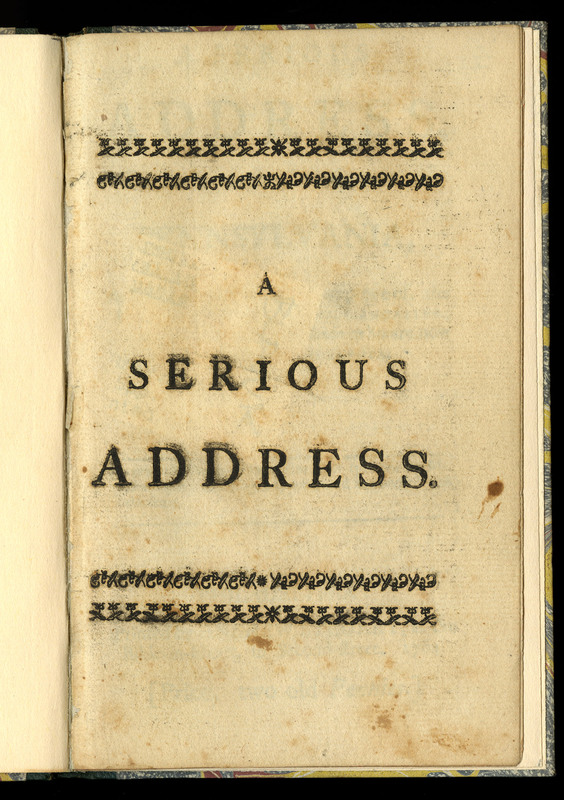 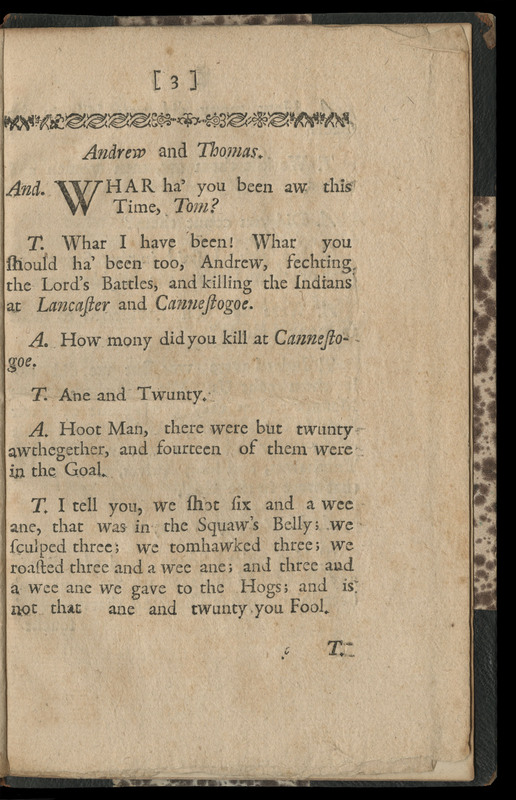 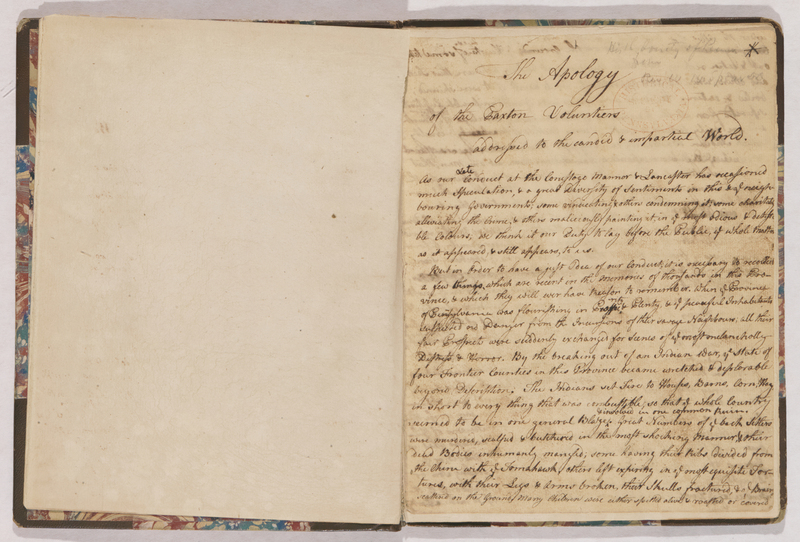 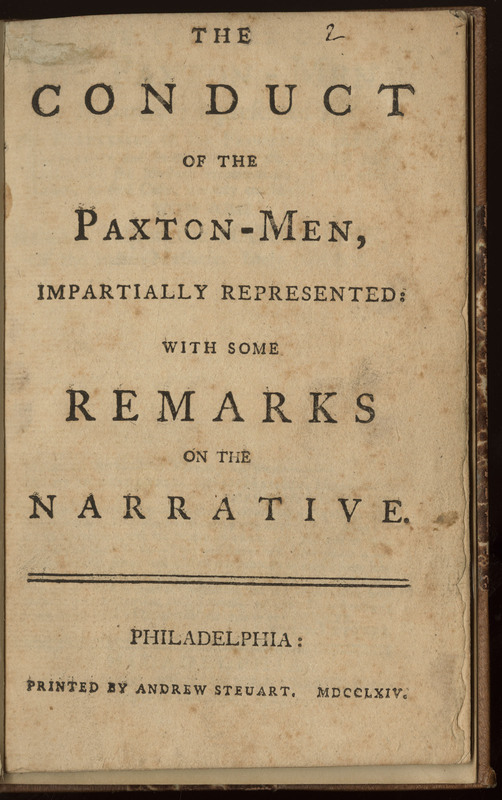 Anonymous, An Answer to the Pamphlet Entitled ‘The Conduct of the Paxton Men’ (Philadelphia, 1764). 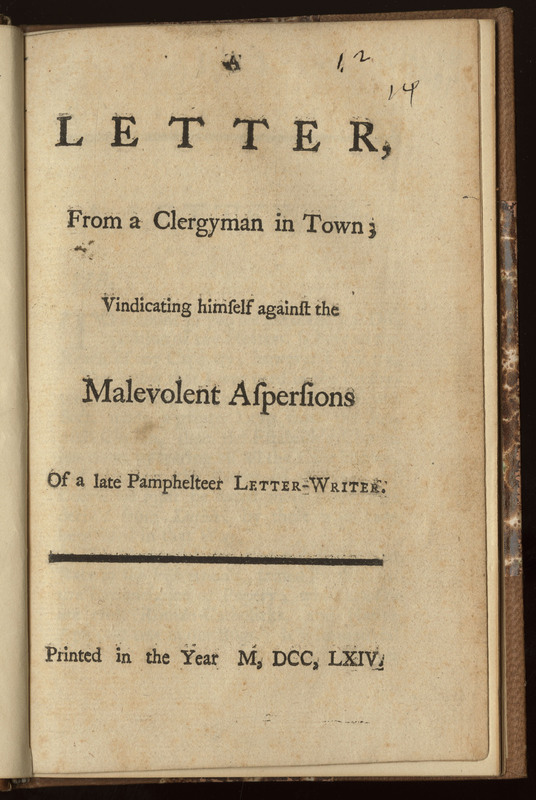 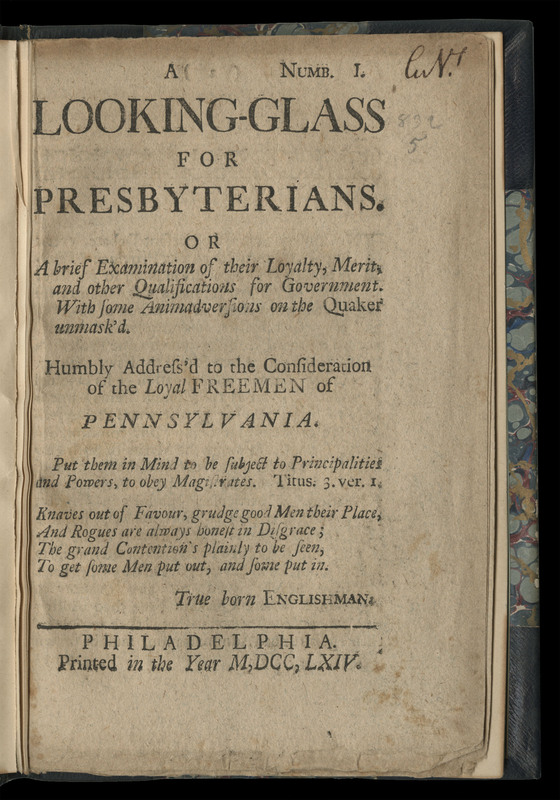 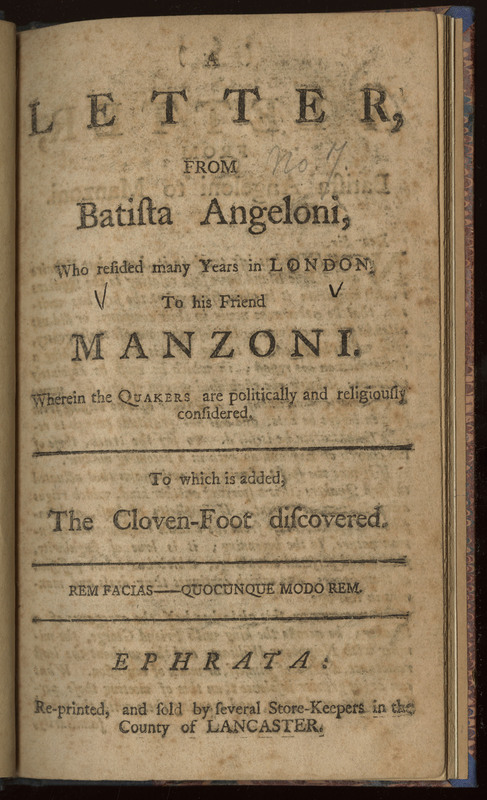 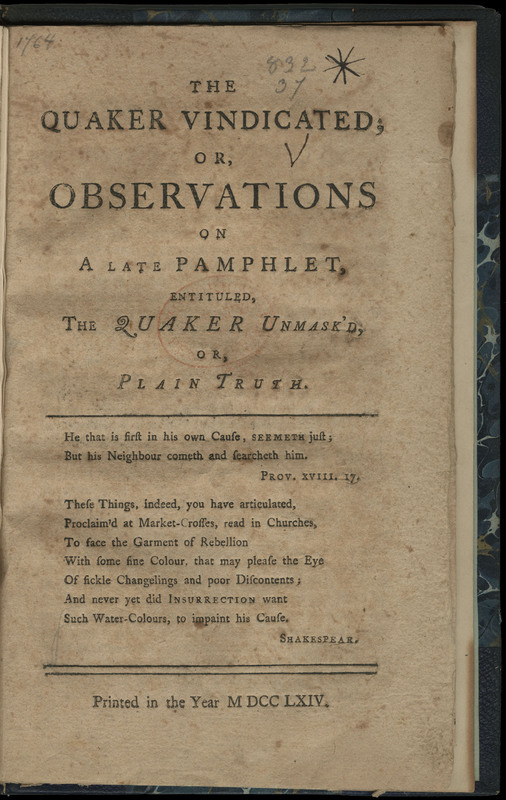 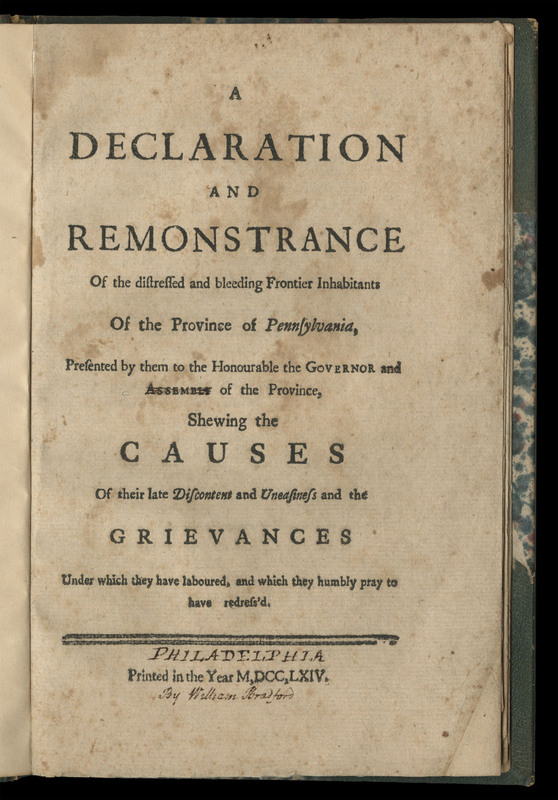 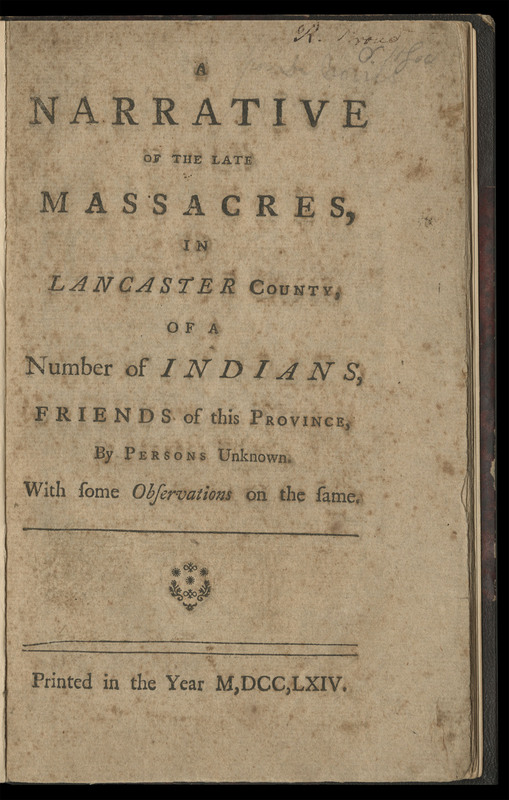 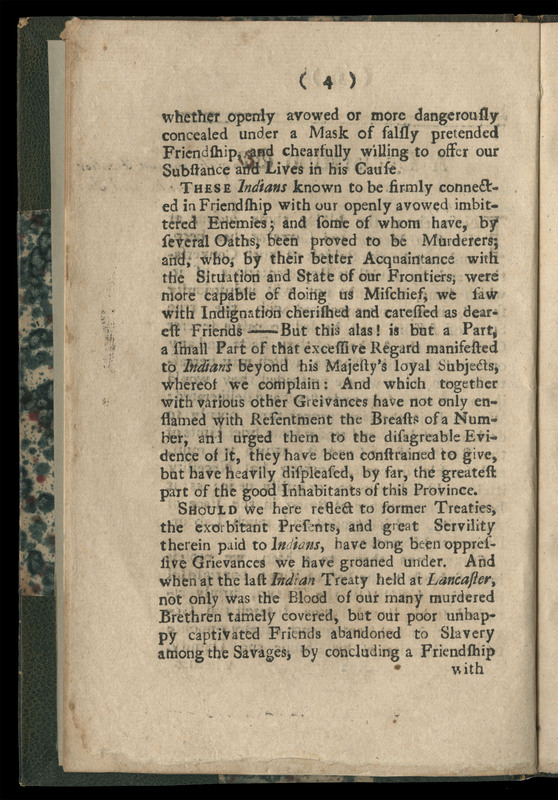 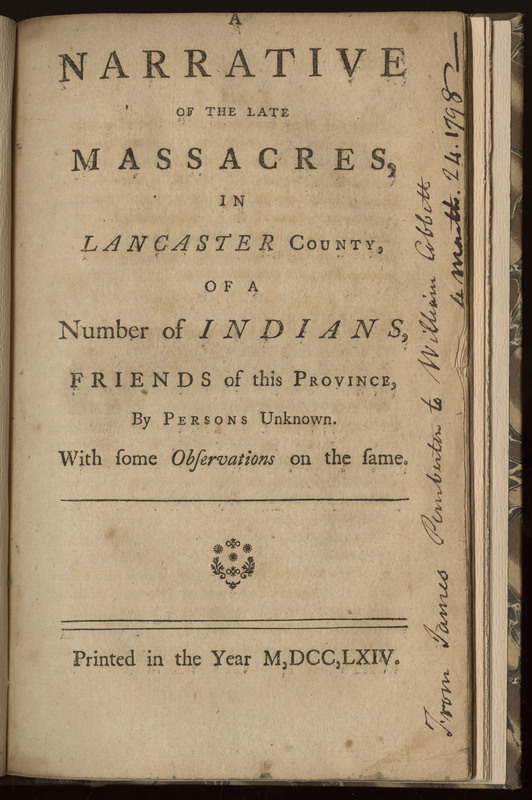 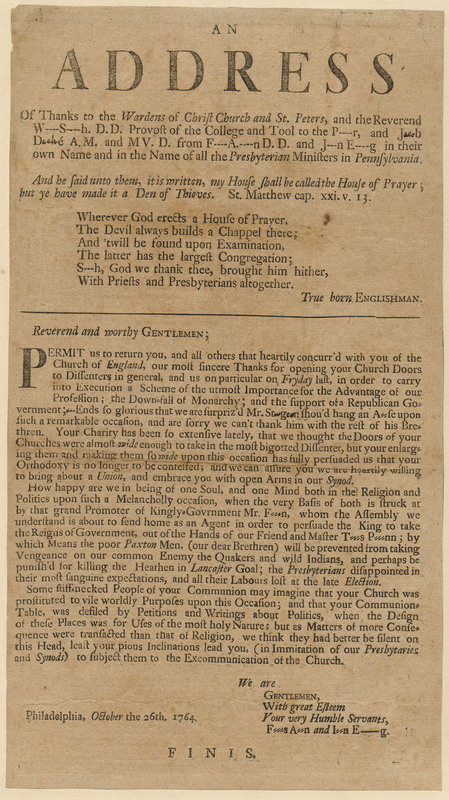 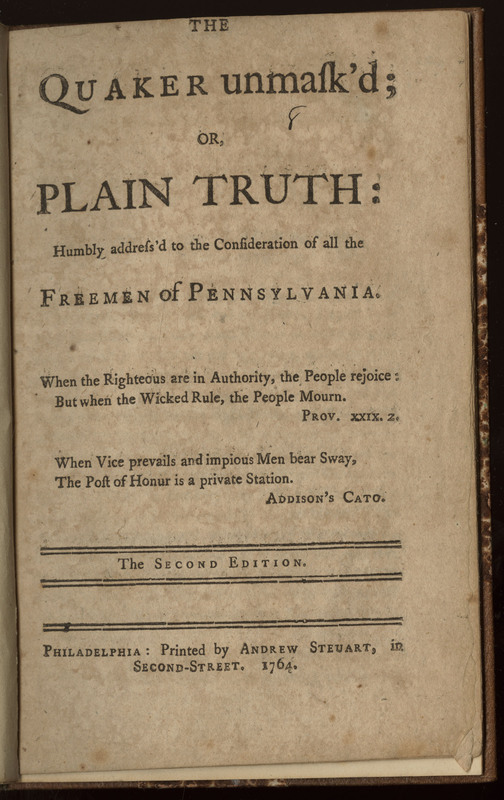 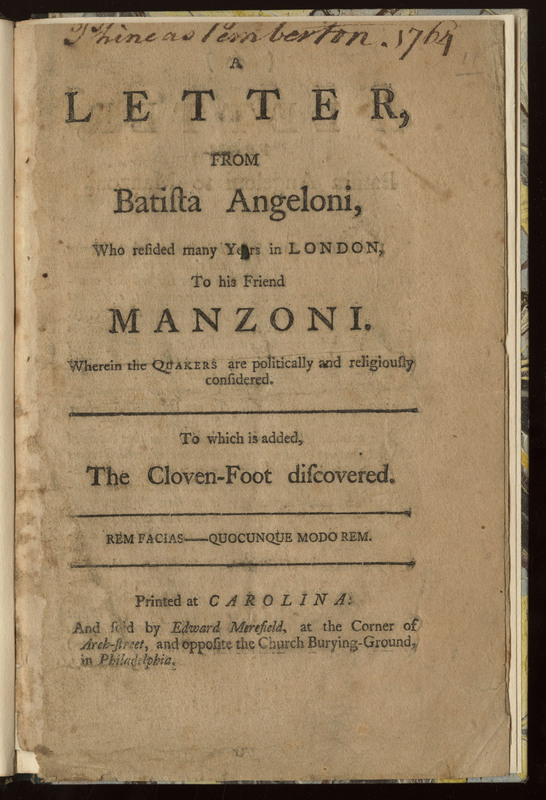 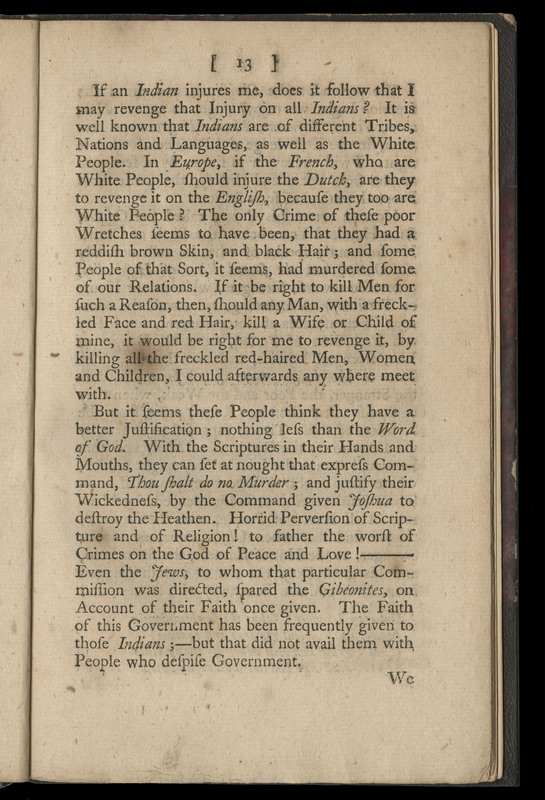 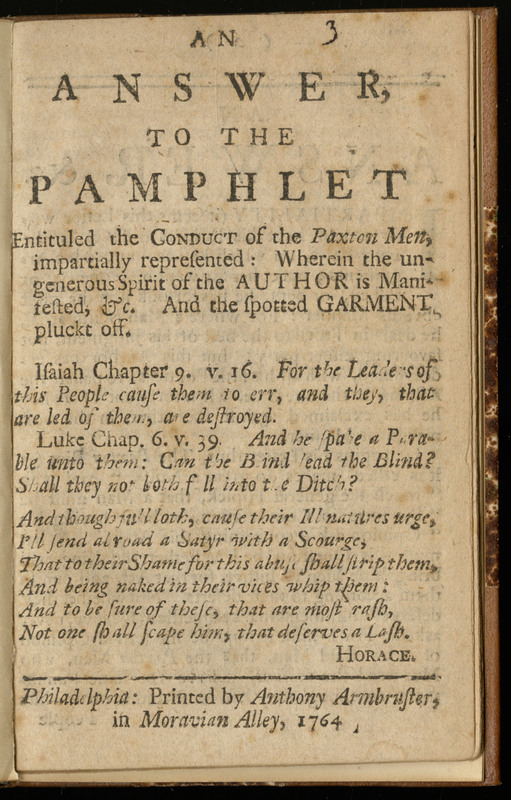 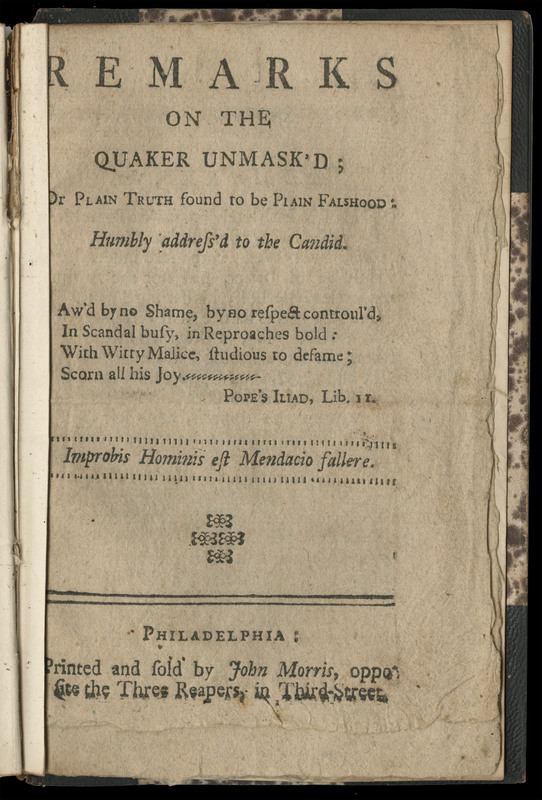 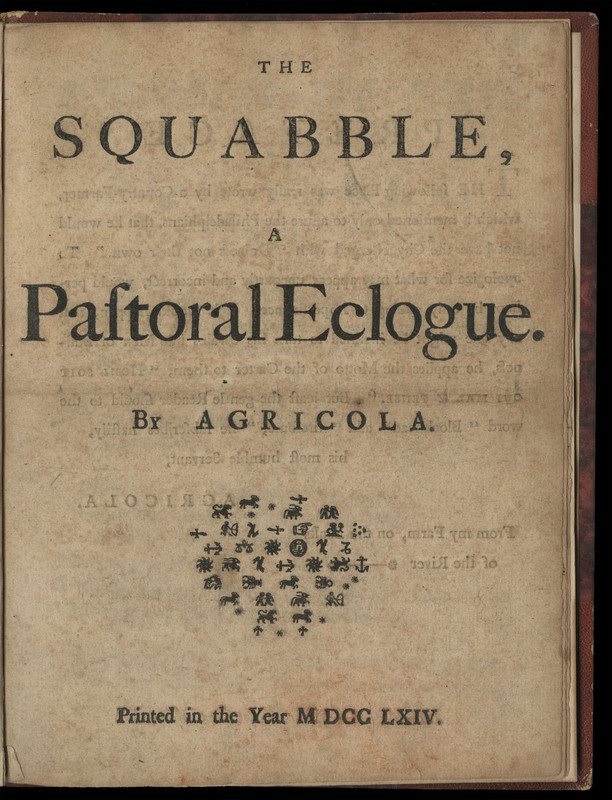 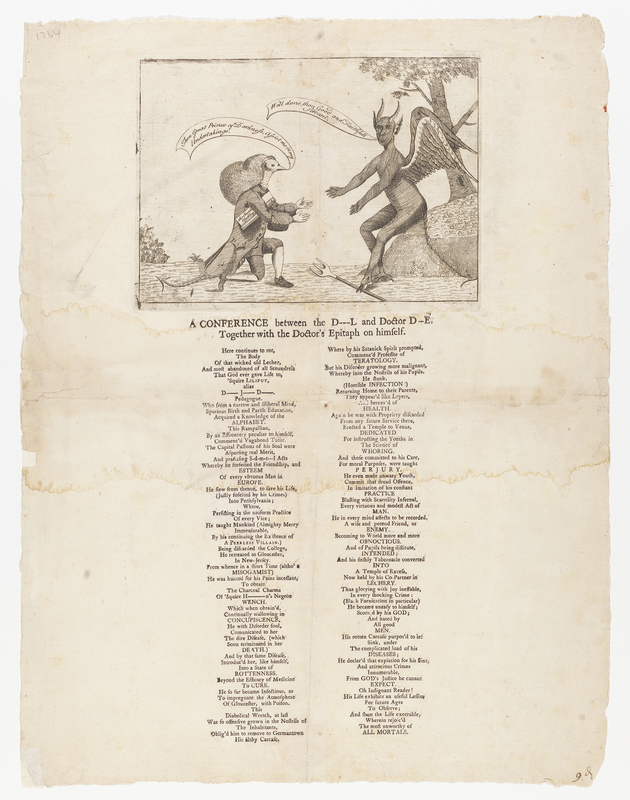 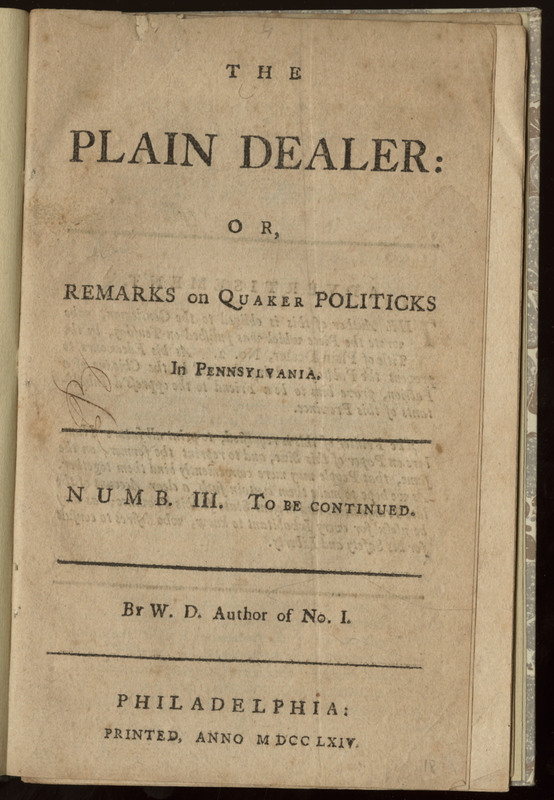 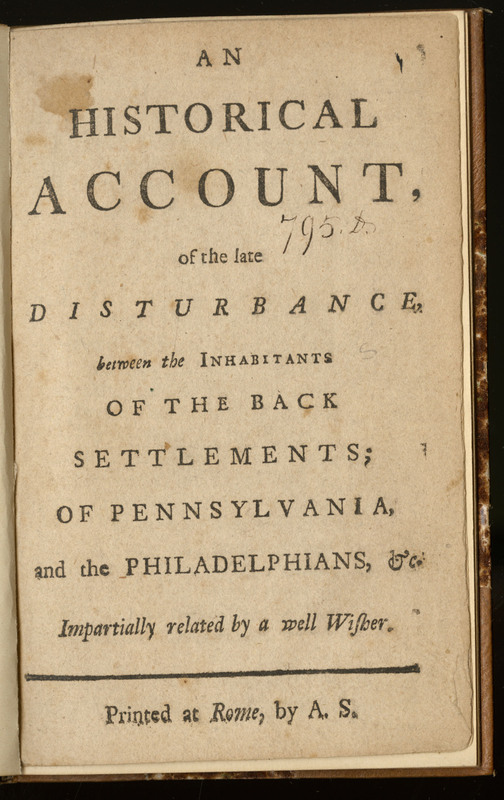 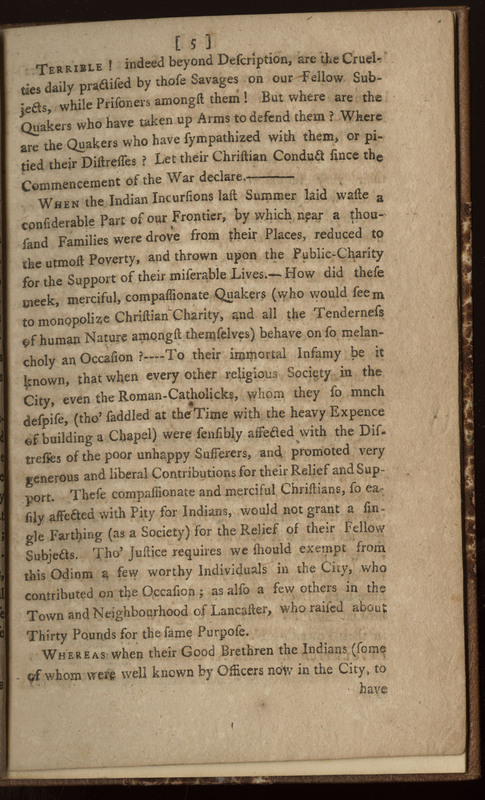 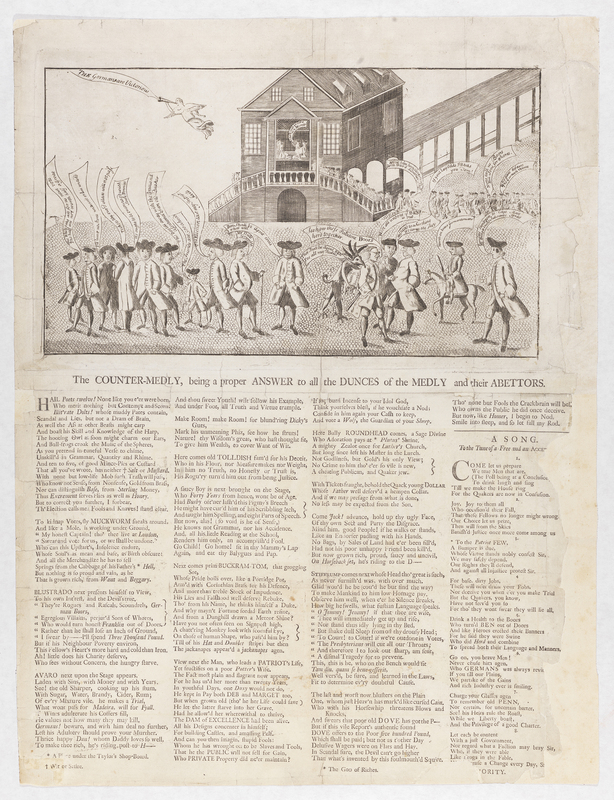 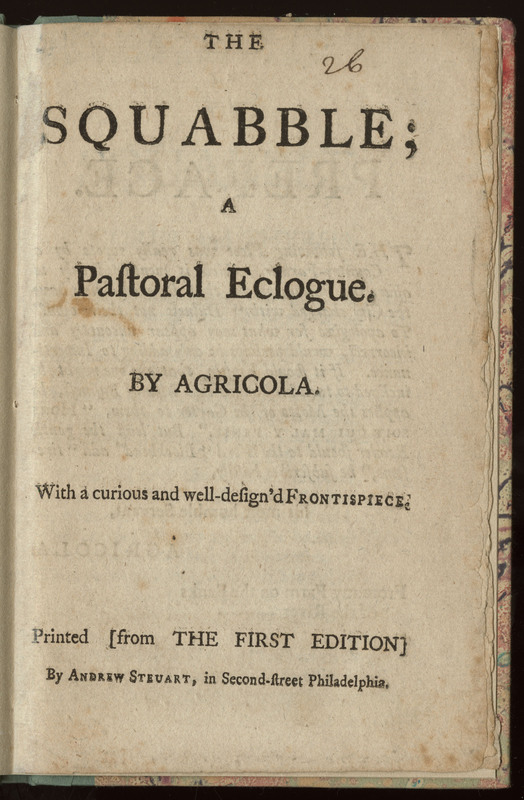 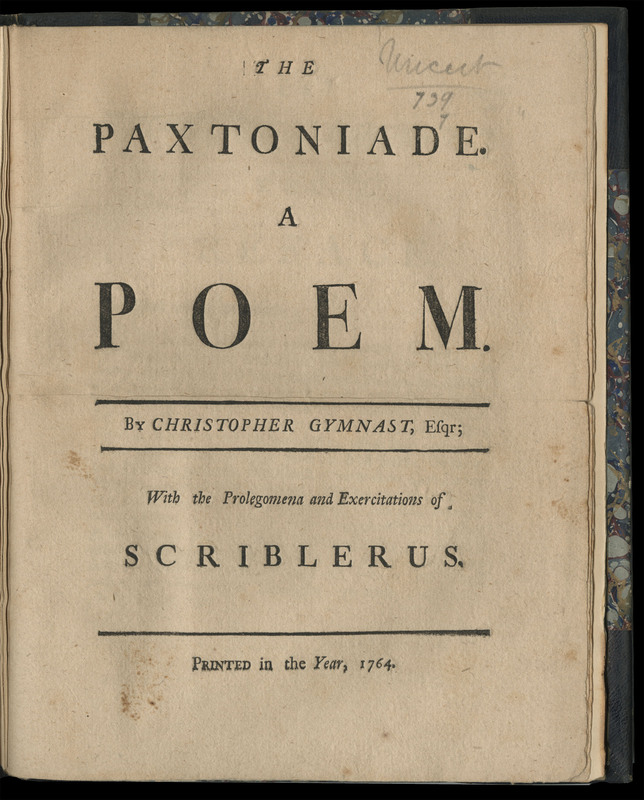 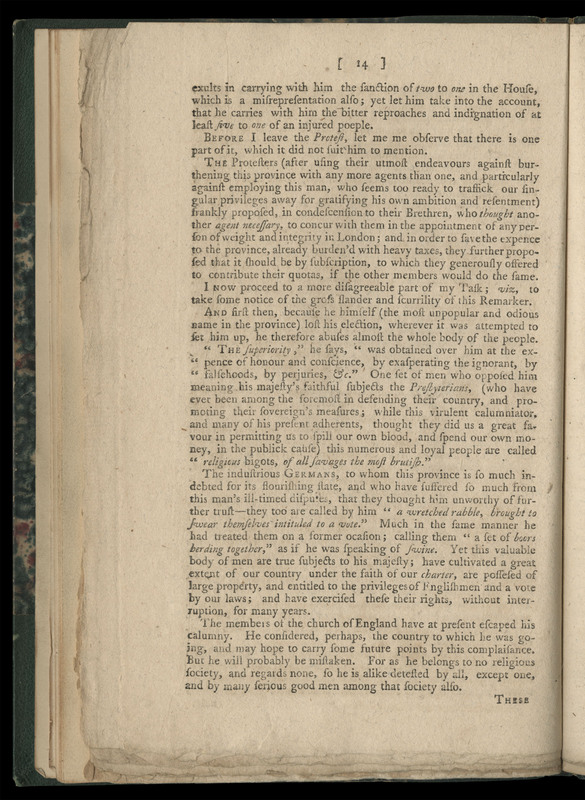 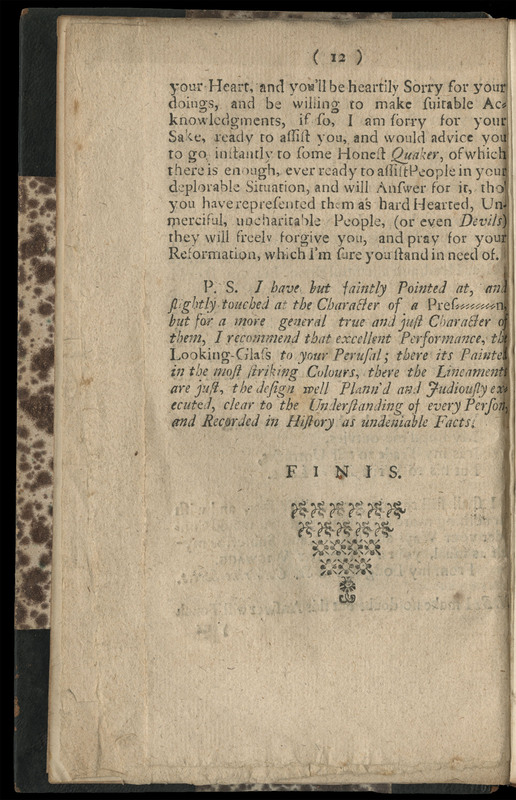 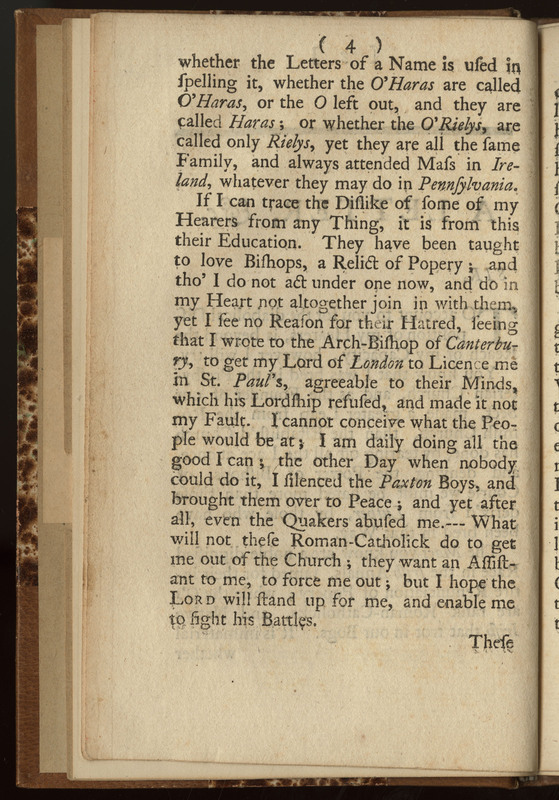 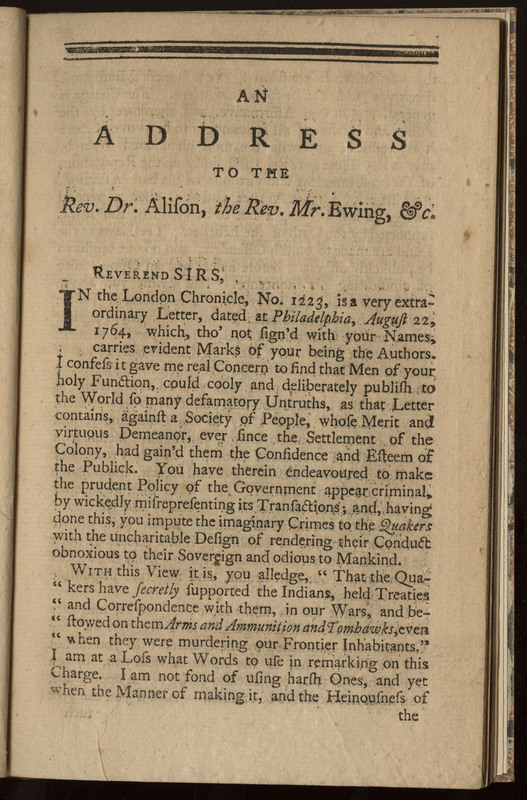 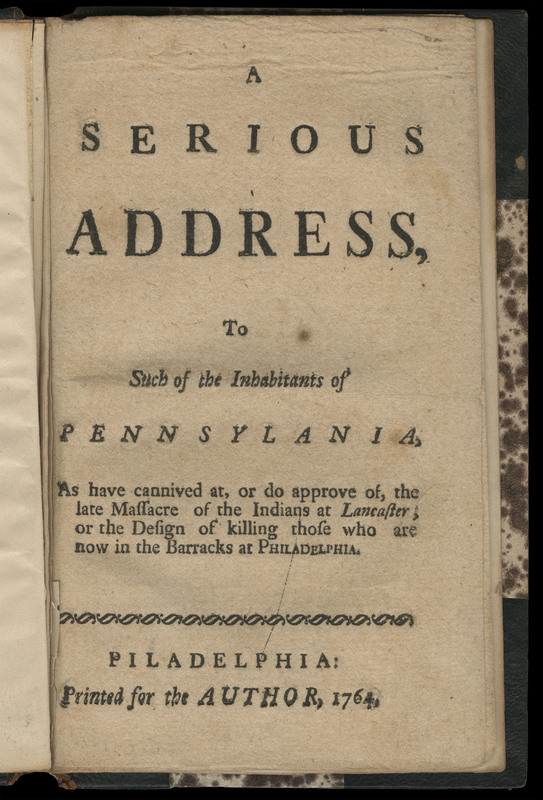 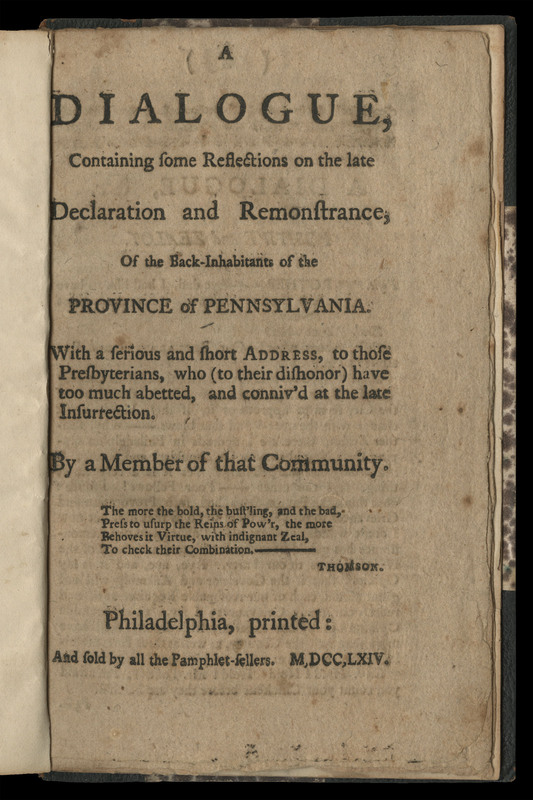 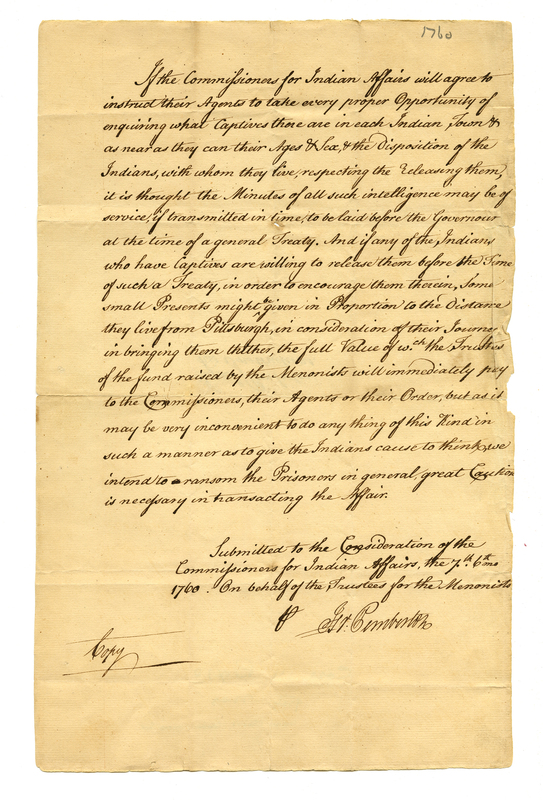 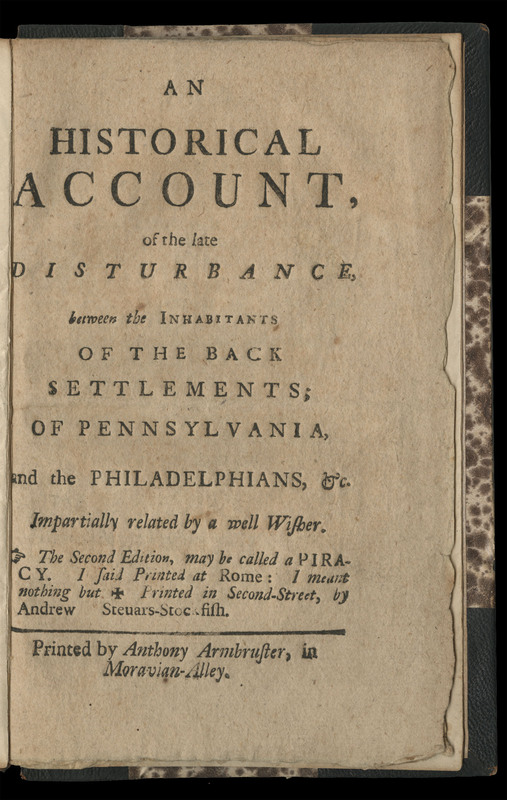 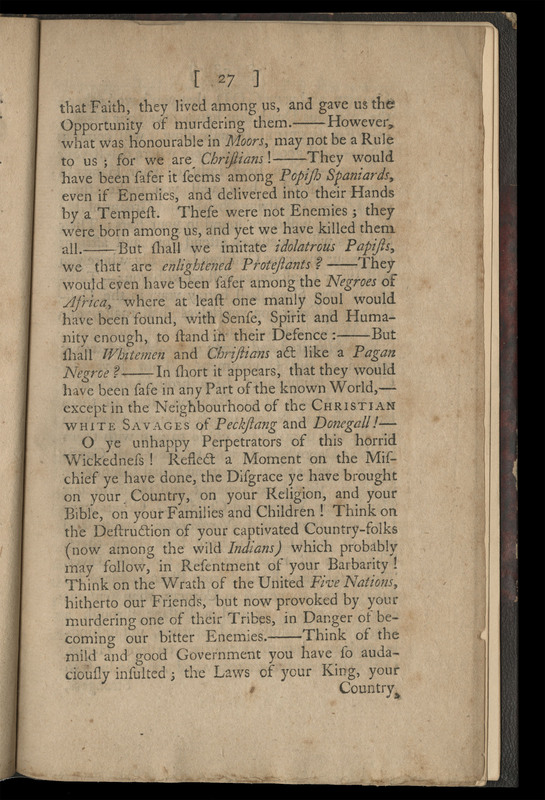 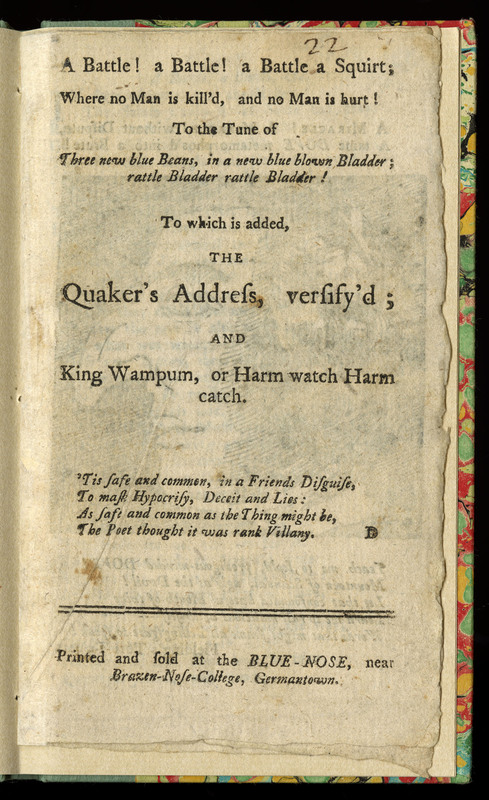 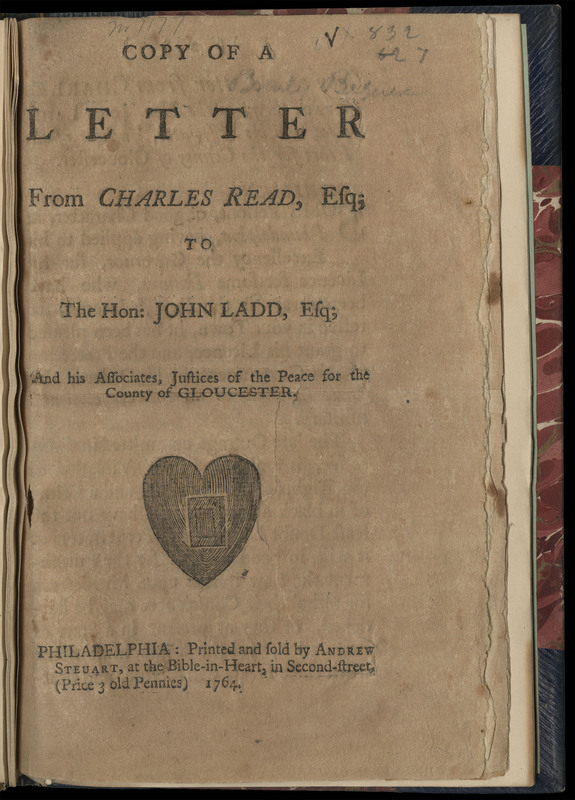 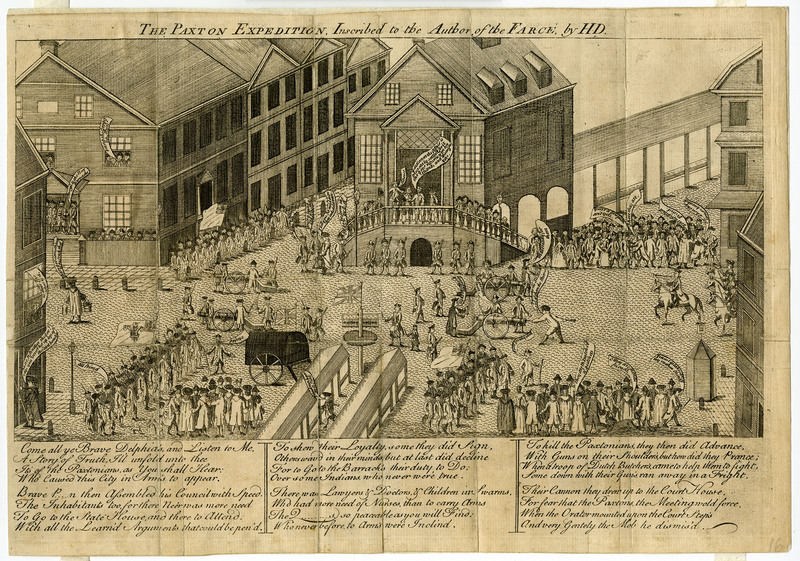 This anonymous anti-Paxton pamphlet answers Conduct by denouncing the Paxtons and defending the Quakers. 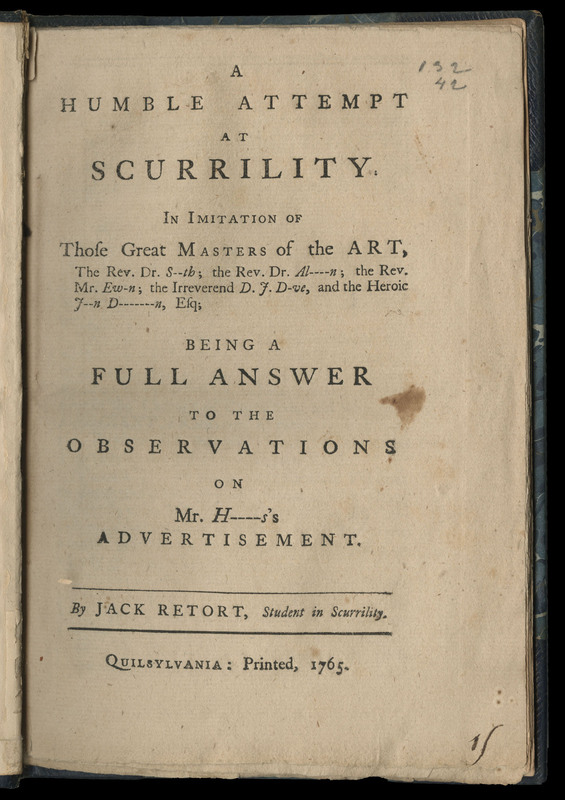 The writer corrects misrepresentations through a series of rhetorical questions. 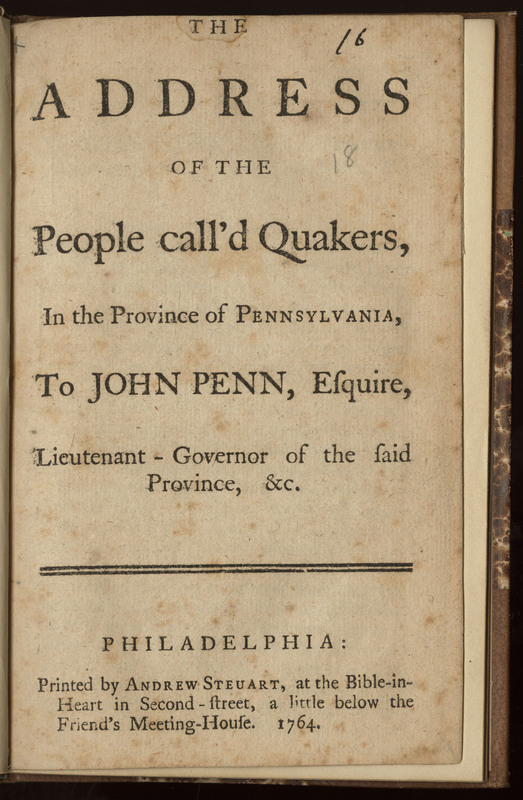 Is the Governor a Quaker? 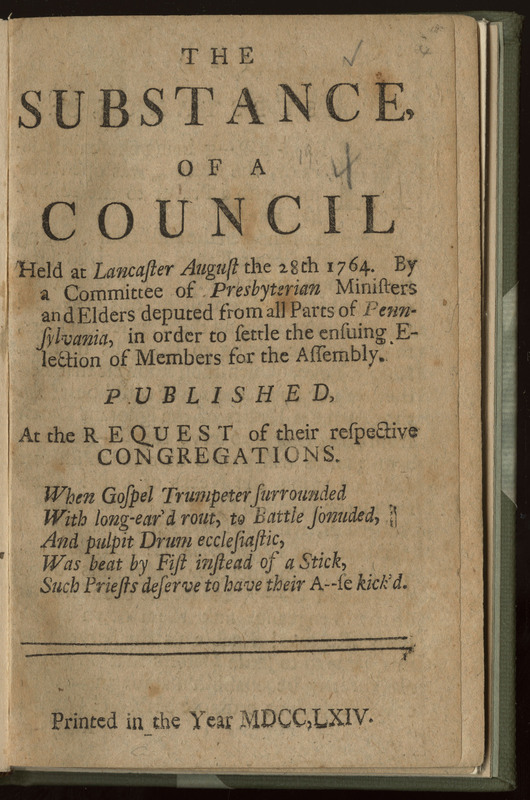 Is his Council Quakers? 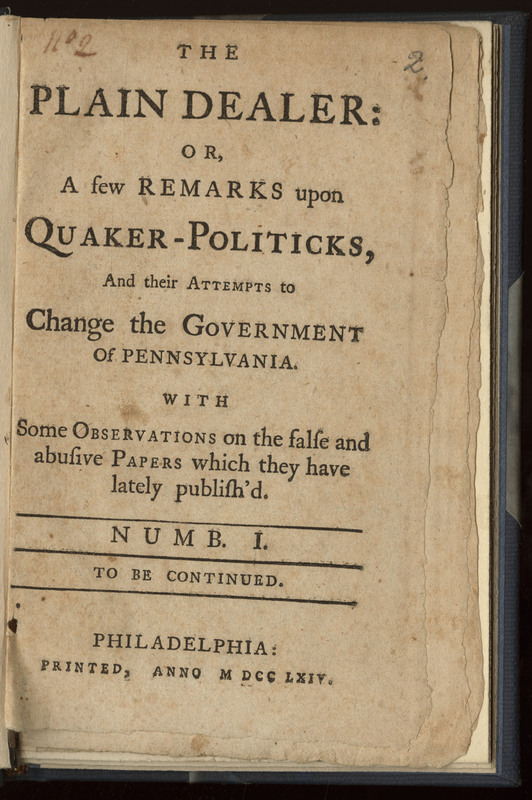 Is the Majority of the Assembly Quakers? 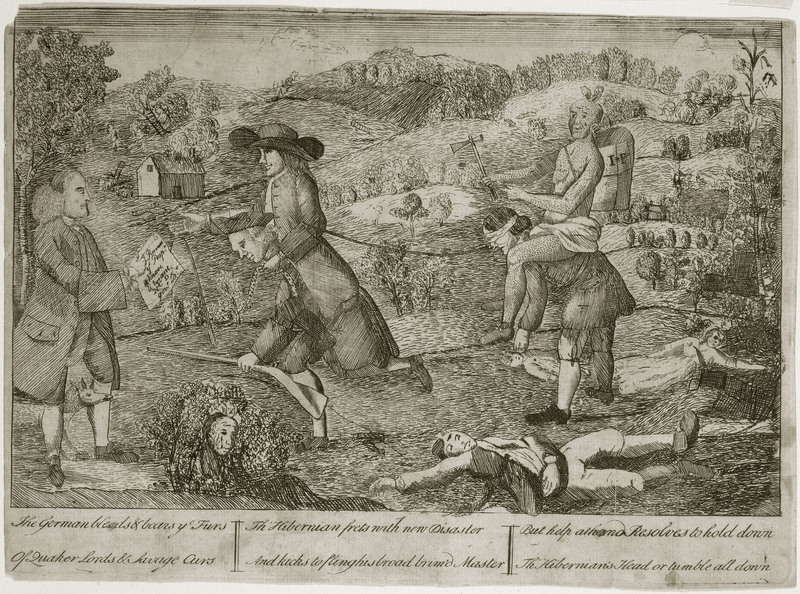 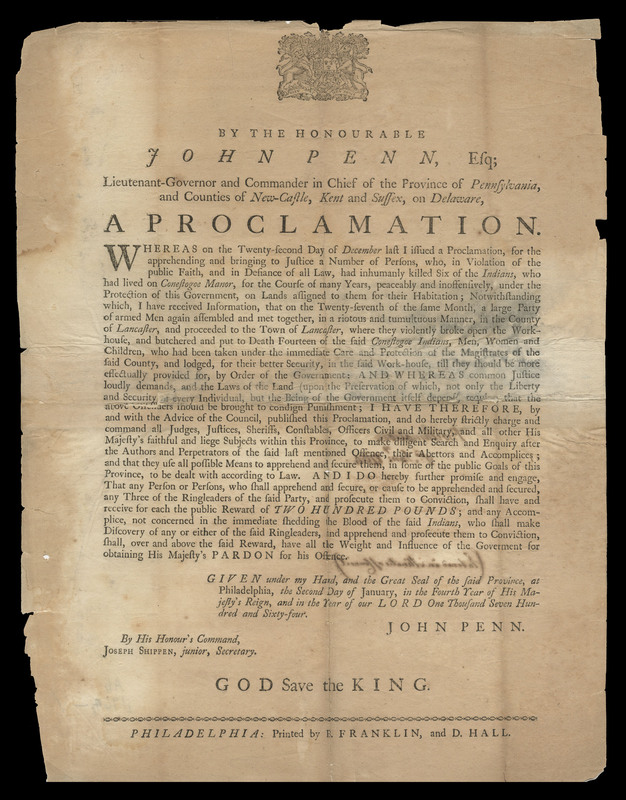 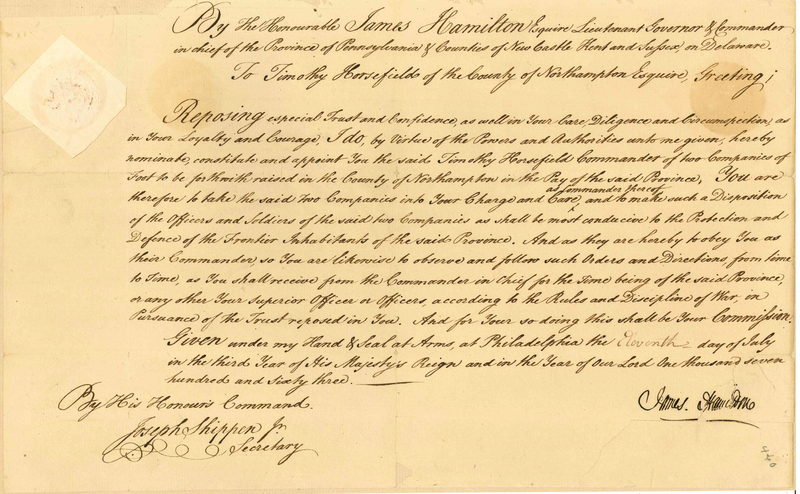 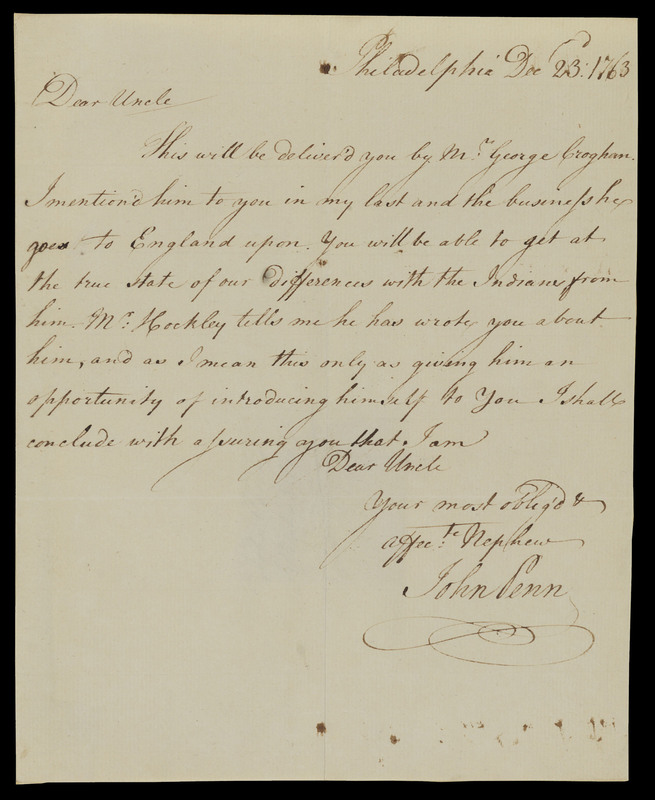 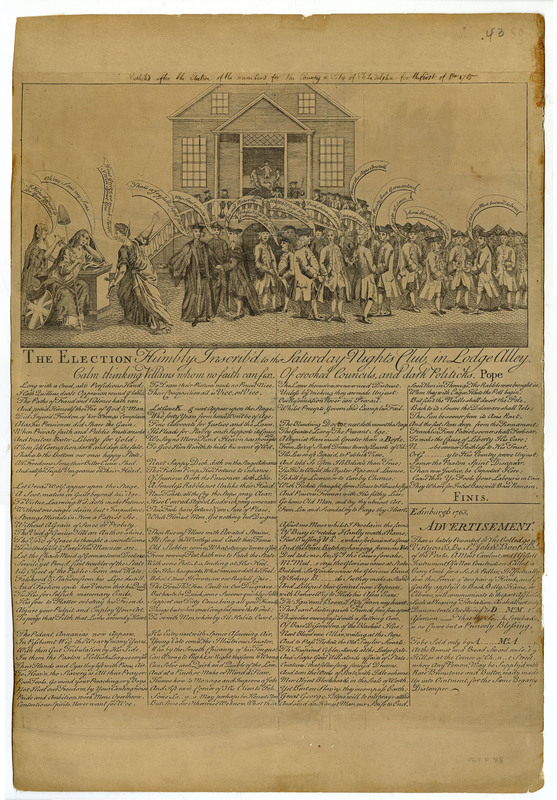 Continue to Battle at the Ballot Box: Royalization and the 1764 Election.